Please be informed that due to the upcoming patriarchal visit of HH Mar Dinkha IV Catholicos and Patriarch, Walkathon 2014 has been postponed to Sunday 28 September 2014. His Holiness will be celebrating the Holy Offering (Raza Qadisha) on Sunday 24 August 2014. HB Mar Meelis Zaia AM Metropolitan will commence consecutive preaching sessions at St Hurmizd’s Cathedral on Monday nights (commencing Monday 14 July), and Thursday nights at St Mary’s Church (7pm) (commencing Thursday 17 July). Topics to be covered: The hardships of married life, and an explanation of the Seven Holy Feasts. July 13, 2014 /in General /by Deacon Ramen Y. 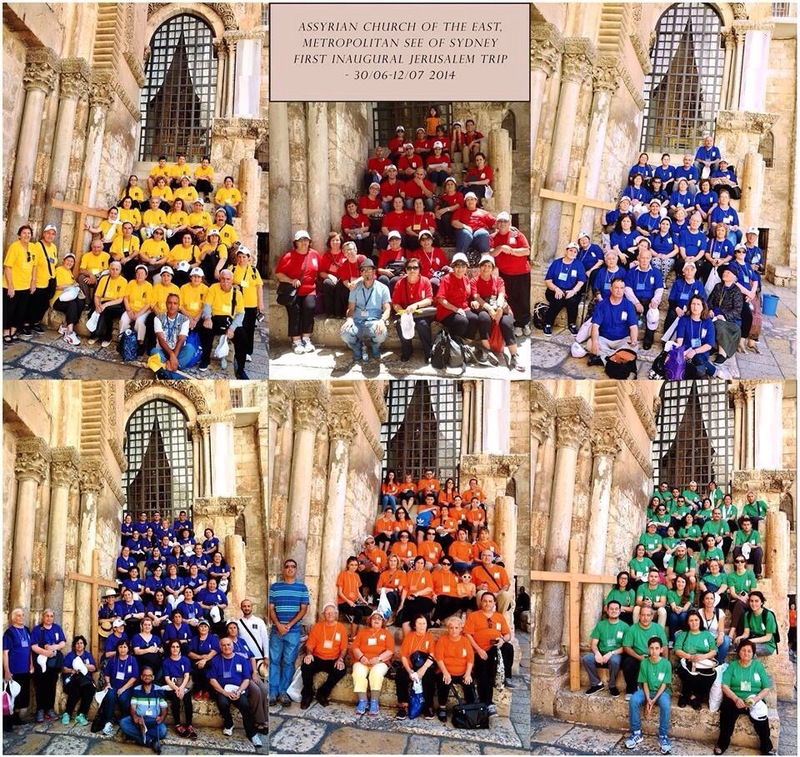 A group shot of all six tour groups and their tour guides at the Holy Sepulcher Church (Church of the Holy Tomb of Christ).